Join us for an active, fun outdoor learning session in your local area! Here is a list of our science based sessions. Read below for more details. A visit to the river foreshore to observe and describe conditions in a local habitat. Through river dipping students record and identify invertebrate life in the river. They also consider feeding relationships, adaptations and the environmental factors which are important in this habitat. Links to key stage 2 Science. Different rock types are introduced in a practical session and grouped in terms of texture and appearance. A trail of Hammersmith Centre or a local cemetery identifies the different rocks used in the built environment and their use is considered in relation to their key characteristics. Links to key stage 2 Science and Geography. Investigating the local environment, this fieldwork based session explored local transport and air quality issues and attitudes in your local area. Data collection through traffic surveys and green space surveys leads to data analysis and personal pledges for action. A visit to your local park for habitat investigations. The session includes identifying minibeasts from the pond or garden habitats and discovering how the animals are adapted to their environment. Follow the Plant Detectives Trail in Ravenscourt Park glasshouses or Normand Park. Discover where in the world plants come from, what is growing in your local park and plant your own seed to take home. Closely observe plants and animals in your school garden or local park. Using games, keys and identification charts, we will name and classify living things and explore their habitats. 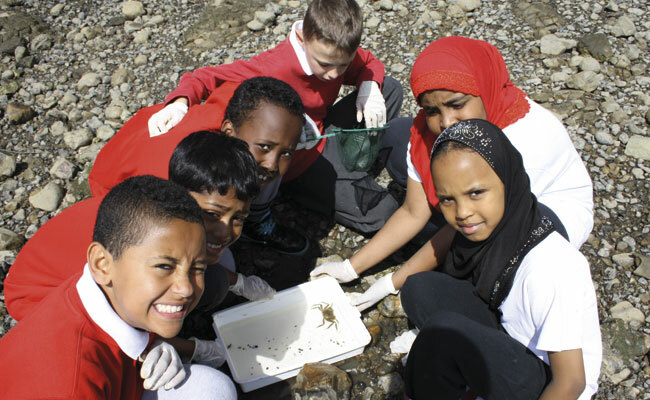 Following a trail along the River Thames or Grand Union Canal, the class will observe and identify waterside habitats, wildlife and vegetation as they go. We use field guides, photographs and games to identify and record the birds we discover and find out how the animals and plants live in their environment.